So our Christmas break here in West Michigan this year is about 10 days. 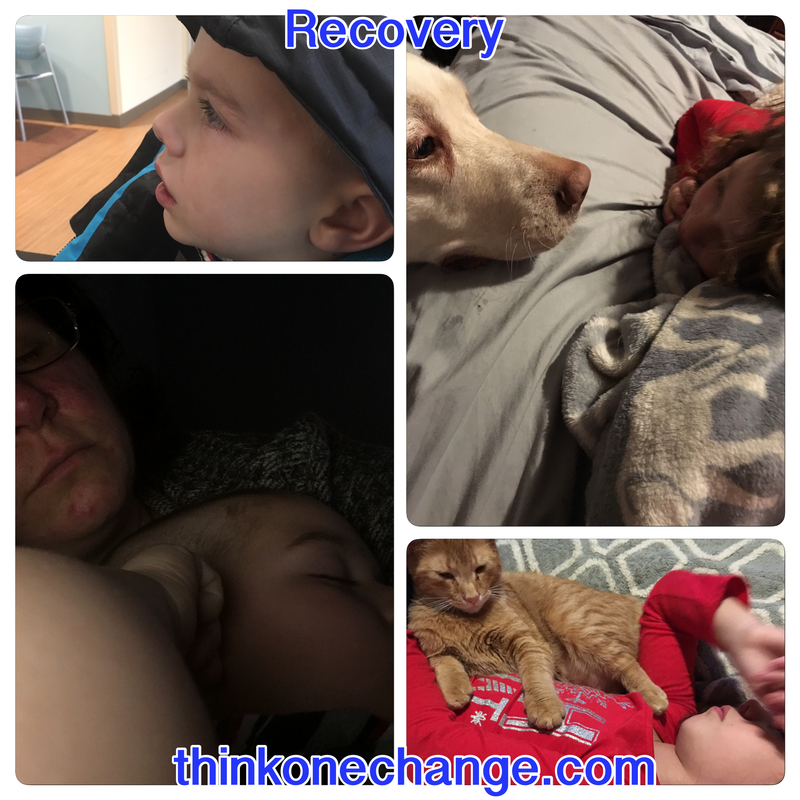 For our family all it has been is sickness, sleep, recovery, bedroom time, rest, watching movies and urgent care rooms. At least that is how it has felt. Today started out about 2 AM with Jack David crying about his head hurting. Then around 3:30 AM with Jack David crying about not being able to breath and his head hurting. Then about 8 AM with his ear hurting. So we split duties and I went to the urgent care with Jack David and Jack took Isabella to her counseling appointment. He has an ear infection just like mama. We pretty much hung out all day long in bed. Seems to be what we are doing around here. Our vacation is almost over and other than the first three days, we have been at home, in bed. We live a very exciting life. However I do try and keep us with things that are healthier. We had some homemade dairy free ice cream tonight. It is so easy to make and it tastes so good. 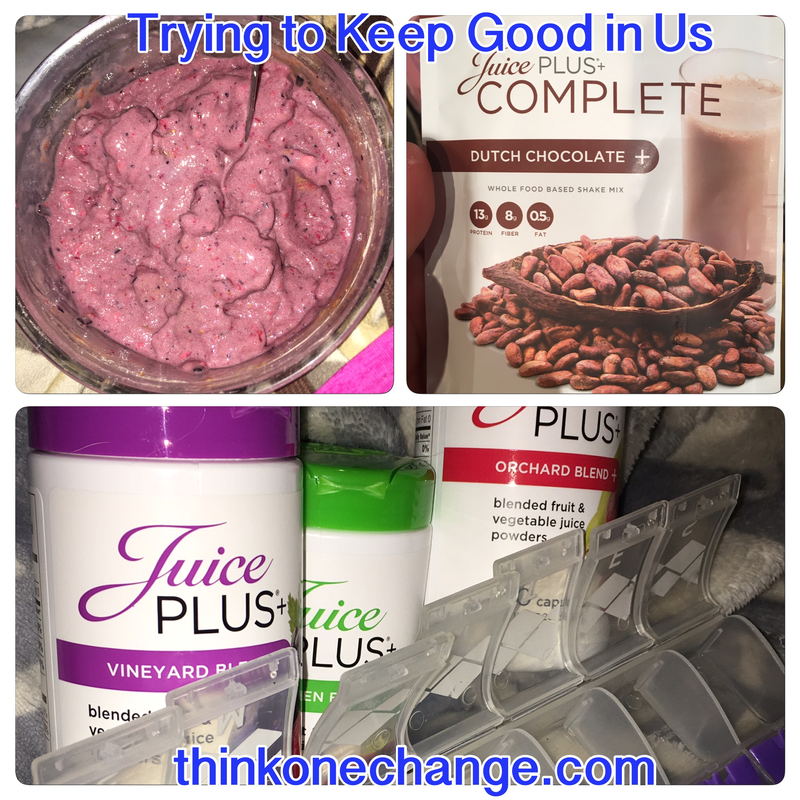 We took some frozen fruit, Chocolate Complete (sometimes we use Vanilla), and some vanilla almond milk. While we were eating our ice cream we took the time to refill out containers for weekly capsules. We are filling them much sooner than normal because I have been doubling up and so have the kiddos. We don’t always make the best choices when it comes to food but we are trying to make sure we are getting our fruits, berries and veggies daily. Then if I give them little treats like the homemade dairy free ice cream there is an extra bonus they are getting! I have been dealing with one illness after another but they have been short lived. I have at least a day or two break between where I feel better before something else comes on. I can’t even tell you the last time I had a day between germs coming and going. It has been at least ten years, that I know for sure. I know it has been even longer than that though because my ex used to say I had munchhausen syndrome by proxy. Of course he was talking about it wrong because it would not have been by proxy. What I am getting at is that even way back when, I was sick, I had things wrong and no one could figure out what was going on with me. So that was all the way back in 1997. I have been dealing with the germs, pain, constant one illness overlapping another for a long time now. I am thankful I have an answer to what is causing it. I am even more thankful that I have found things that help me boost my bodily systems and support those. I was just talking to a friend that it is kind of this catch 22. Before when I was in pain all the time, I was sick all the time, I was down and out all the time but I had built up a tolerance in some ways to the things going on. Now when I am hit, my tolerance has been decreased because I have been doing better for so long now. So I almost feel like I am back at the beginning when I just had to deal with it. It is a blessing though because all these things are not as bad and not lasting as long! 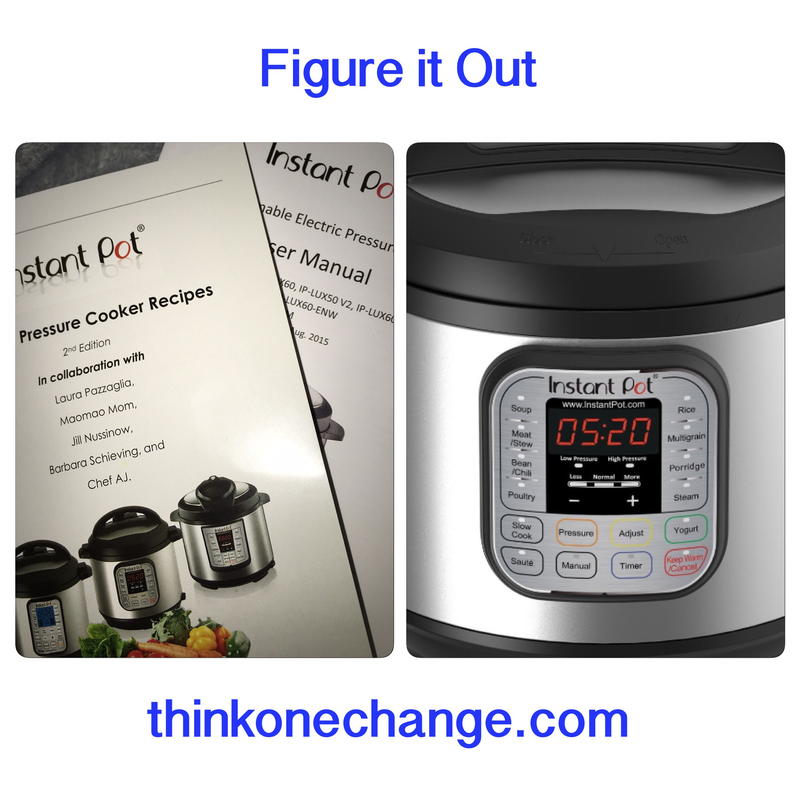 Another thing we did today was look at recipes and manuals for my Christmas gift, the Instant Pot! Talk about being super excited. I have been wanting one of these for a while now but kept on putting it off. I never have any ideas when it comes to Christmas presents and I knew this would be a great gift idea. So today while watching movies and laying in bed we were looking at the recipes that came with the Instant Pot. I got this on Christmas Eve and have been dying to use it. No excuses that meals will take to long, even if they are frozen. I am horrible at recalling to take meat out of the freezer. I think about it the night before, I think about it in the morning and it is always while I am in the middle of doing something else. Then the next time I recall to take the meat out is about 15 minutes after I should have started cooking our dinner. Ski Team Season is always more difficult as well. I have my middle son, Adam whom is eating about 3 meals in one sitting. He is always starving and he needs healthy foods instead of here is some McDonalds or Pizza or make a sandwich. So I am really excited to be able to put this to use. The closest I have come to using it since getting it is reading the manuals today. Jack putting it on the counter wanting to know what I am going to cook first in it. Now I get to start my Pinterest board and start collecting recipes. Seriously this was the highlight of my day! Praying that you have had a blessed day and that you have been able to enjoy your Christmas break with your children.